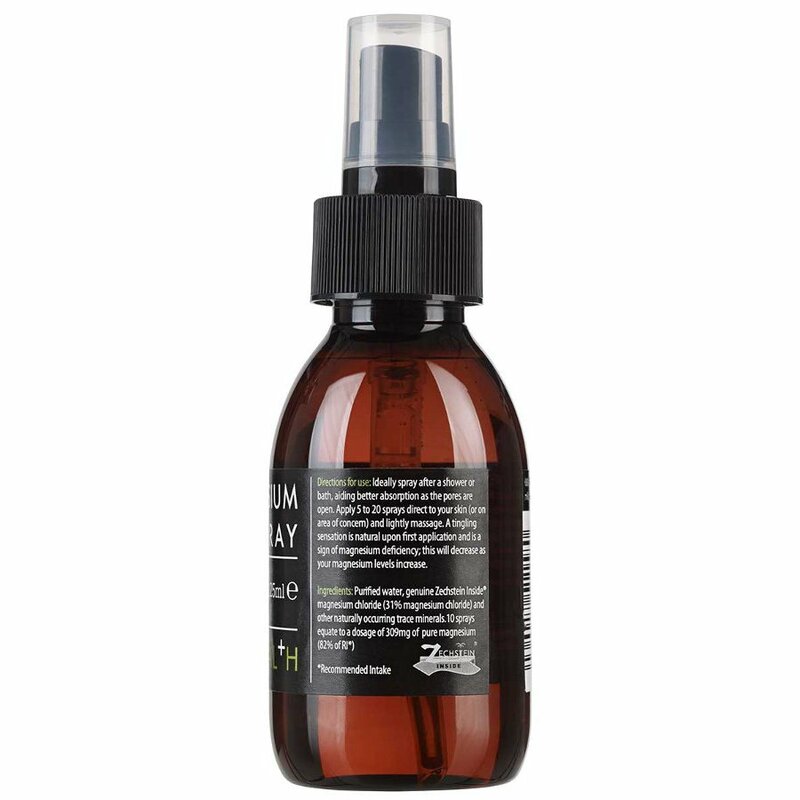 Boost your bodies magnesium levels with this easily absorbed, odourless magnesium oil spray from Kiki Health. It is a natural source of magnesium which reduces tiredness while contributing to muscle function, the nervous system and electrolyte balance. 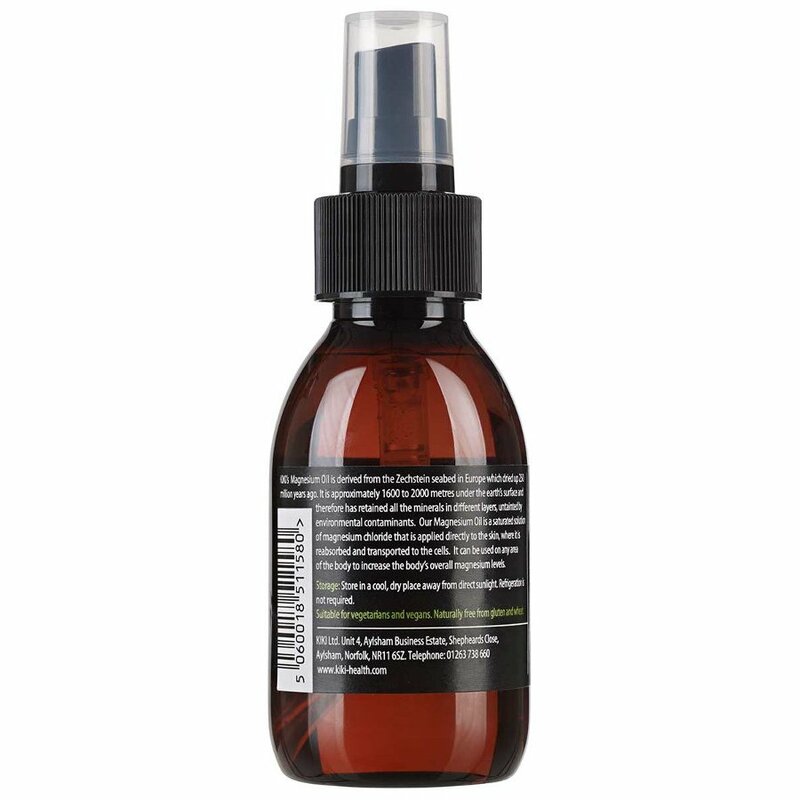 Simply spray the oil over your body after a bath or shower. Purified water and genuine Zechstein Inside®, magnesium chloride (31% magnesium chloride) and other naturally occurring trace minerals. 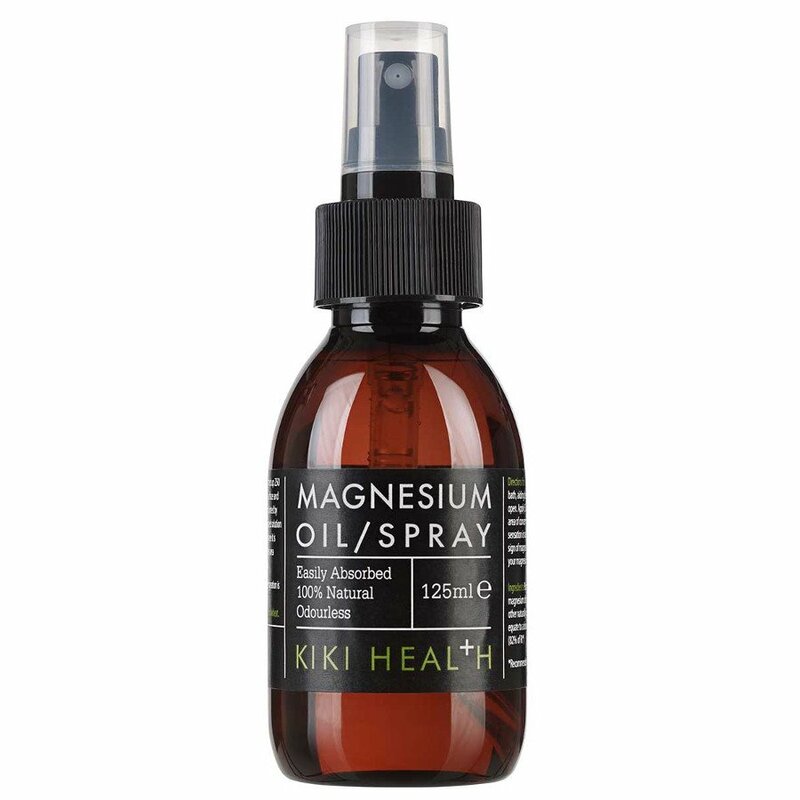 There are currently no questions to display about Kiki Health Magnesium Oil Spray - 125ml.